Is there anything cooler than time-traveling, dimension-jumping, librarian spies? Plus, dragons and fae! And the fate of worlds lies in the balance. Yes, that is worlds plural. 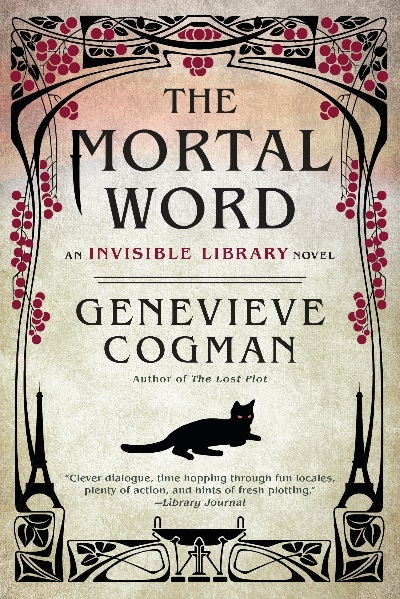 The next installment of Genevieve Cogman’s Invisible Library series, The Mortal Word, checks all the boxes and is releasing on November 27th. The Mortal Word continues the adventures of Irene Winters, a dedicated Librarian, and her friends. The Invisible Library is a wonderful magical place in between a myriad of different worlds, each living under different levels of order or chaos. In this series, Dragons are beings of order and Fae are beings of chaos. And the Library and the Librarians try to maintain a balance of order as best they can by stealing books! Have I intrigued your interest yet? If you’re a fan of varying adventures of Doctor Who, you’re probably going to enjoy The Invisible Library series. The upcoming installment faces that balance or order and chaos head-on. A murder threatens to create even more upheaval throughout the entire universe. Irene Winters, along with her friend Vale a renowned detective in his own home world (akin to a Sherlock Holmes but with less sociopathy). The Motral Word begins with adventure and does not let up. The pace is quick and the prose entertaining. You are constantly drawn into the murder-mystery but faced with larger conspiracies entwined with “normal” problems of anarchists in a metropolitan area. With every book in the series, Genevieve Cogman continues to build the world and allow you to learn more about Irene. Irene is a brilliant, beautiful, intelligent woman who plunges into an adventure, sometimes unwisely. But she is aware and learning how and when to allow her friends to help or lead the way. The continued growth of Irene, her no-longer apprentice, dragon prince-ling Kai, and Detective Vale make The Mortal Word another entertaining sage in the Invisible Library. One that you need to read to find out whether order or chaos reigns. The latest in the series, The Mortal Word releases on November 27, 2018 from Ace Trade Paperback. In celebration of the upcoming release of The Mortal World, Penguin Random House is hosting a giveaway until November 23rd. You can win a copy of the whole series! Or you can win an advance reading copy of The Mortal World before it’s release on November 27th. 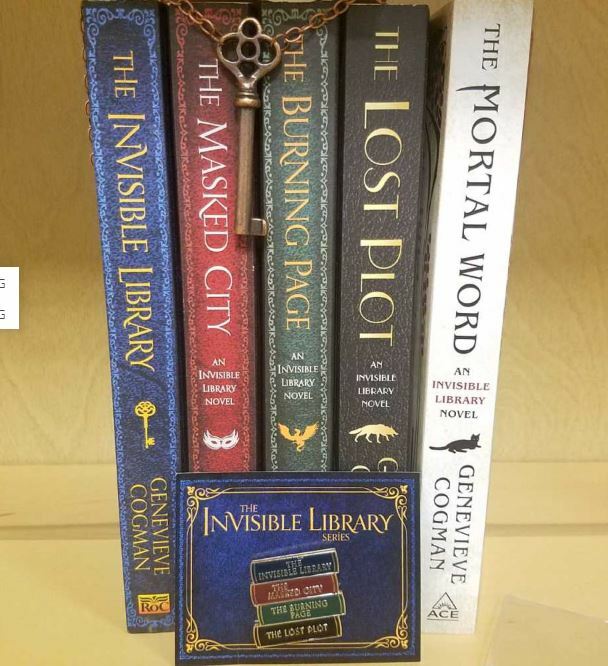 Enter for a chance to win your own Invisible Library collection! 20 runners-up have the chance to win an advance reading copy of THE MORTAL WORD! The giveaway runs until 11/23. Enter now to win!